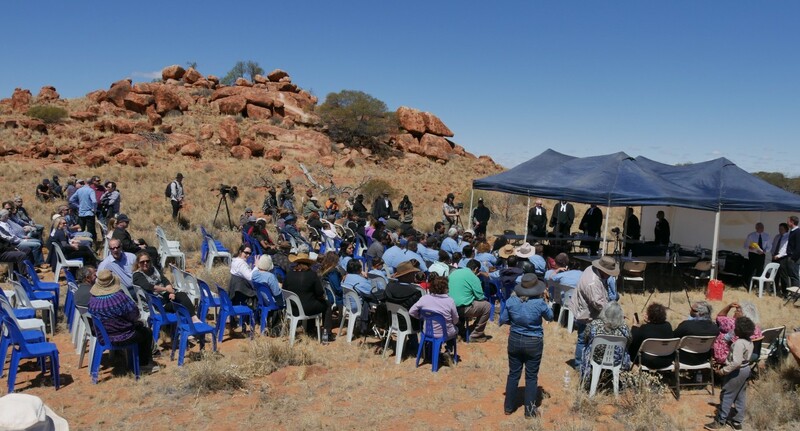 The Yilka native title claim was determined by Justice Neil McKerracher on 27 September 2017 at a ceremonial sitting of the Federal Court of Australia at Yilurn (Jutson Soak), west of the Cosmo Newberry Aboriginal community. 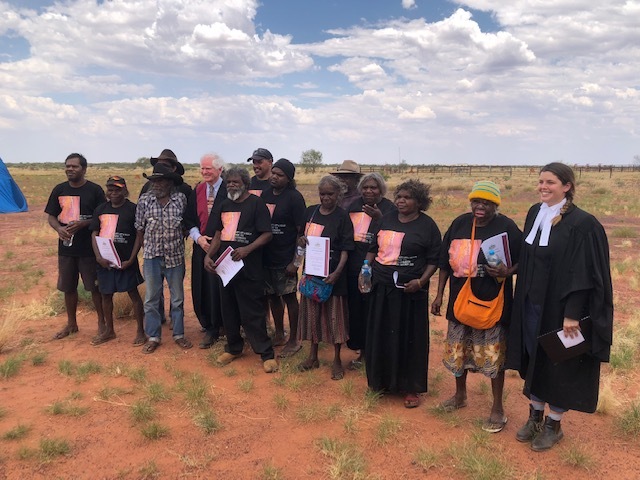 The claim was filed on 15 December 2008 and covers approximately 12,260 squared kilometres west of the town of Laverton, encompassing the Cosmo Newberry Aboriginal community and the Yamarna Pastoral Lease. The claim was contested by the State of Western Australia and was litigated in the Federal Court of Australia. 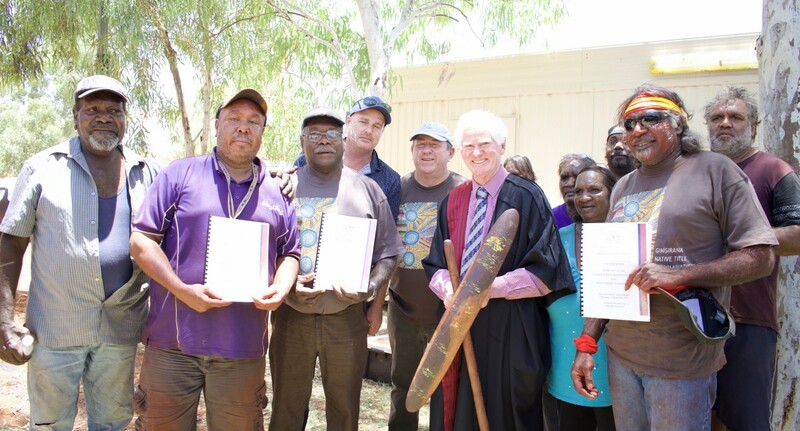 On 29 June 2016 Justice McKerracher ruled in favour of the Yilka claim groups’ connection to the land, delivering a nearly one thousand-page judgment in the process. In reaching his decision the judge rejected the State’s argument that bringing a second claim over the same area was an abuse of process and also made a number of findings with regard to roads in the claim area, including the Great Central Road. The judgement also found the Sullivan Edwards native title claimants to have native title rights and interests over the overlapped area. On 22 June 2017 the Federal Court handed down a further decision, this time on the effect of the overlapping Sullivan Edwards claim. Justice McKerracher ruled that the two claims be dealt with in one determination and represented by one Prescribed Body Corporate (PBC). The common law holders recognised in the native title determination of 27 September 2017 are currently seeking to nominate a PBC with the assistance of the Federal Court. 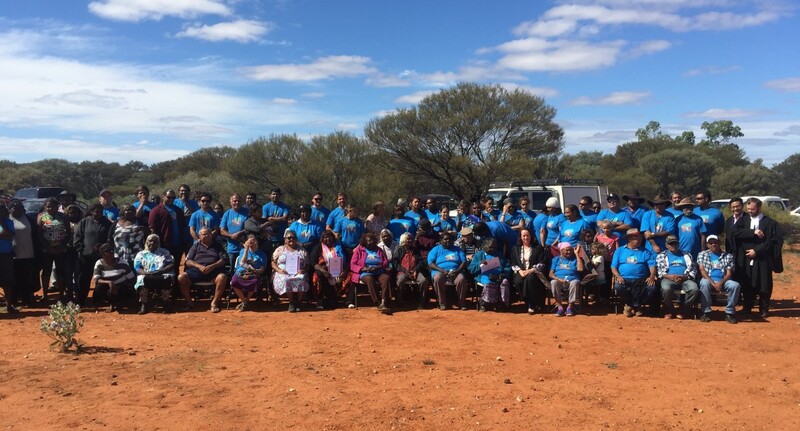 On 9 May 2018 The Federal Court held a Case Management Hearing in Cosmo Newberry where agreement was confirmed by the native title holders that an independent lawyer will be appointed to finalise nomination of a PBC to the Court as soon as possible. Mr Tim Wishart has been selected and has accepted appointment as the independent lawyer to act on behalf of the native title holders. Mr Wishart is a legal practitioner with approximately 27 years of legal experience including extensive native title experience relating to progressing claims to determination and establishing Aboriginal Corporations to be nominated as a PBC. Mr Wishart is an accredited mediator who is on the Federal Court of Australia list of native title mediators. Starting from 11 June 2018, Mr Wishart will be working with the native title holders to nominate a PBC for the determined area. (c) the right to maintain and protect places and objects of significance in or on that part. Nominated Prescribed Body Corporate: The common law holders are currently seeking to nominate a PBC with the assistance of the Federal Court. The Yilka native title claim is registered with the National Native Title Tribunal on the Register of Native Title Claims (RNTC). Pursuant to s 190(4)(da) of the Native Title Act those areas where it has been determined that native title exists will remain on the RNTC until a Prescribed Body Corporate is nominated in relation to those areas and registered on the National Native Title Register. 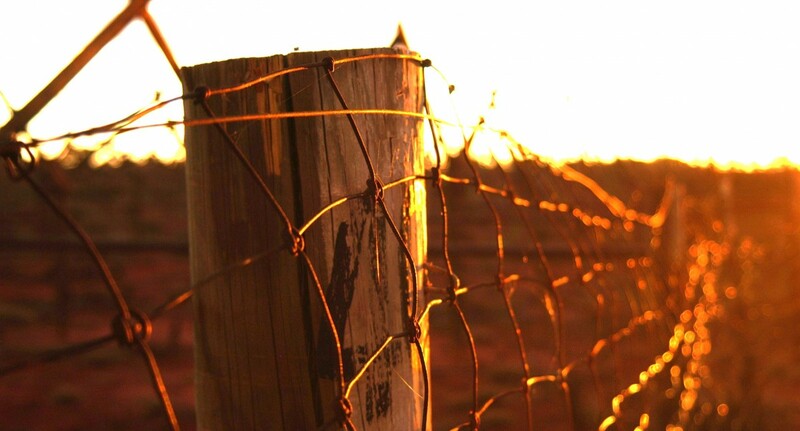 Any access to the area is regulated by the future acts process according to the Native Title Act. The Yilka native title claim area is also the subject of Use and Benefit Aboriginal Reserves 25051, 22032, 25050 and 20396 (Aboriginal Reserves). Access to Aboriginal Reserves is gained through an entry permit under the Aboriginal Affairs Planning Authority Act. An entry permit under the Aboriginal Affairs Planning Authority Act will not be granted without the consent of the Yilka claimants. Applicants or holders of mineral or petroleum titles are required to seek native title consents to gain access onto native title land. 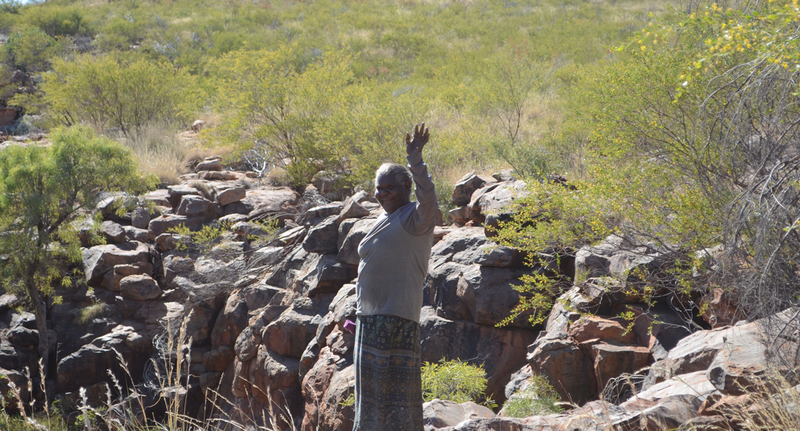 A Mining Entry Permit and Consent to Mine will also be required under the Aboriginal Affairs Planning Authority Act and the Mining Act or Petroleum and Geothermal Energy Resources Act in relation to accessing the Aboriginal Reserves for the purpose of mineral or petroleum activities. 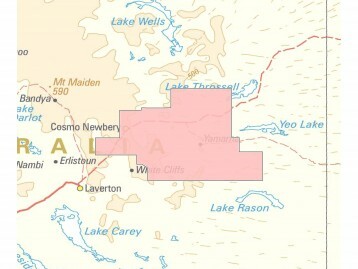 The Yilka claim group have developed a standard Mineral Exploration and Land Access Deed of Agreement and a standard Petroleum Exploration and Land Access Deed of Agreement with the purpose of protecting cultural heritage sites and areas of cultural significance during the conduct of exploration or prospecting activities. The Deeds of Agreement deal with access to native title lands and Aboriginal Reserves. Agreements for access and grant of other mineral and petroleum title applications are dealt with on a case-by-case basis. All non-mining/petroleum titles on determined native title lands require an application to be made to the relevant government department and the requisite notifications to be made under the future acts process in the Native Title Act. Please contact the relevant government department for information on this process. 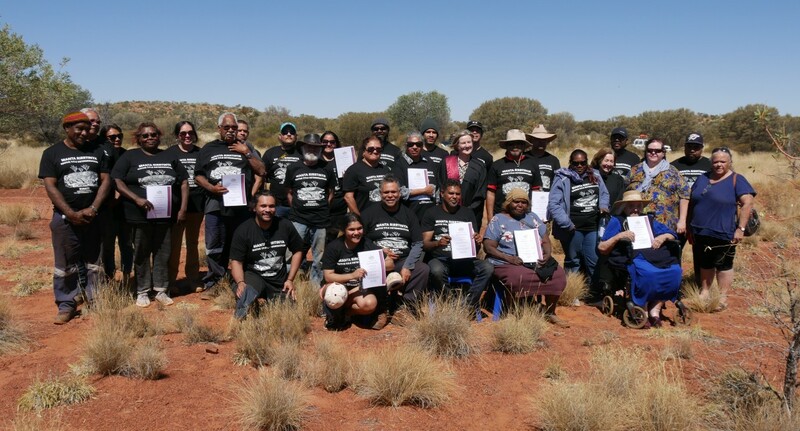 Applicants or holders of all non-mining tenure will require native title consents and Permits under the Aboriginal Affairs Planning Authority Act to gain access to the claim area and Aboriginal Reserves. Transit Permits are required to traverse all areas within the Aboriginal Reserves, including the Great Central Road. Please contact our Future Acts Officer should you wish to access the Yilka determination area, have any queries in relation to Land Access on the Yilka determination area or wish to obtain a copy of the relevant Deed of Agreement.